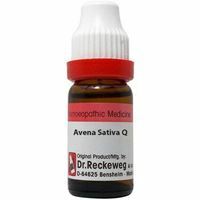 Indications: Conditions of nervous exhaustion, nervous weakness, weariness and morosity, insomnia following mental conflicts, nervous headaches, easily fatigued, general neurasthenia, lack of energy, inability to concentrate. General physical invigoration resulting from an increase of vitamines. The feeling of exhaustion subsides, and there is a return of the energy to work. The effectiveness is increased by the additional use of homoeopathic medicaments. Acid phosphor: Physical and mental weakness, weakness of back and sacral region, inability to do mental work. Consequences of grievances and worries. Indifference and discouragement. Drowsiness during day, dislike to converse. Pollutions, impotency. Cocculus: Physical weakness, exhaustipn, irritability, state of depres-sion, insomnia, weakness of muscles of the nape, with a feeling of heavi-ness in head. Helonias dioica: Exhaustion and overexertion (especially of women), accompanied by uterine affeexhaustionrvous irritations, depressions, desire for solitude. Ignatia: Nervous exhaustion and irritability following prolonged mental afflictions of a depressing nature, after grievances and worries. Ego-centric solitude. Sepia: Sadness, irritable and moody. Indifference to duties, especially with women in the menopause. Zincum met: Great nervous exhaustion, restlessness of the legs. Irritabi-lity of the nervous system, taciturnity, slow mental conception, weak memory. Burning and weakness along spinal cord, pricking and numb-ness of the limbs.In the beginning of the treatment three times daily from one teaspoonful to one liquor-glass. When improvement sets in, thq same dose 1-2 times daily, eventually only in the evening. 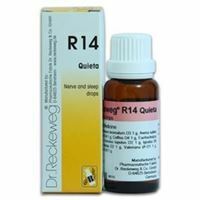 Remarks: In sleep disturbances: see R 14 which may be administered additionally. During menopause: additionally R 10. In endocrine disturbances: see R 19, respectheely R 20. In hypotension: see R 44. 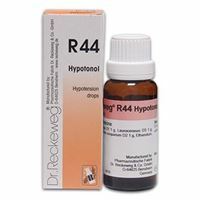 In impotency: see R 41.